Thank you to all those of you who have connected into the crystals set up to help the people and lands of Haiti over the last week. The crystals were closed temporarily yesterday and cleansed overnight but will be reopened through midday today and will remain open for a further two weeks until midday Monday 8th February, with a respite for cleansing from midday on Monday 1st February to midday Tuesday 2nd February. Please go to the blog posting for 18th January for further details of the focus and crystals used. Tonight's Crystal Earth Meditation will be to help bees across the planet. As many of you will know bees have been suffering a dramatic reduction in numbers across the planet in recent years with potentially dramatic consequences for all of us if this decline is not reversed. There are many people across the Globe doing fantastic work to help reverse this trend as well as increase public awareness of the current plight of bees and its planetary significance. In light of the recent wintry weather in the UK I have had one or two enquiries about how to go about planting crystals in the depths of winter. As might be expected, there are no hard and fast rules. If you can dig down through deep snow and the ground is not frozen, then it might be hard work but possible. A stone or small pile of stones can be used to cover crystals where the ground is frozen and the crystals can then be dug in later, if you feel the crystals so placed will be vulnerable to disturbance left like this on a long term basis. If you live in an area with dry stone walls these can also be very handy for placing smaller crystals. 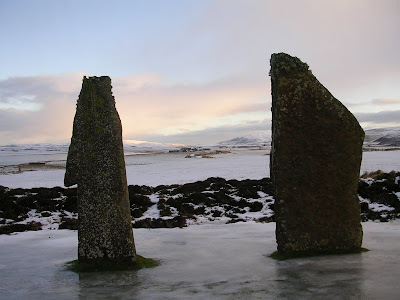 If you can't actually access the site of planting because of snow and ice, as has happened to me over the last few weeks in Orkney, then temporary placement ready for transfer to the required planting is an option for certain types of planting. Alternatively, you may just have to be patient and wait until the weather improves. If you live somewhere like Canada or Alaska then Spring, Summer and Autumn may be your best times to crystal plant and the Winter used to plan trips for warmer, less frozen times! 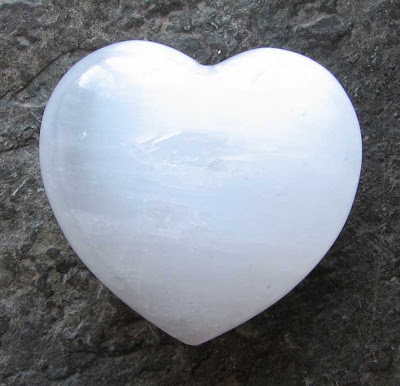 In place of the usual Crystal Earth Meditation tonight a rose quartz chunk surrounded by 12 celestite will be opened to bring peace, healing, strength and positive connections to the lands and people of Haiti. These crystals will remain open over the coming week, for any one to connect into and empower their action at any time. Thank you to all those who have helped those in need in this troubled region so far and I hope you are able to connect in during the week to come. Please use the image of rose quartz as a positive focus. The meditation for the people and lands of Haiti ( please see last posting) will be repeated through 8pm tonight, tomorrow and Sunday - 15th,16th and 17th January. Hope you can connect in or send positive thoughts and prayers to help those so greatly in need at this time. In light of the Earthquake in Haiti, there will be an extra meditation today through 3pm to send peace and healing to this region using rose quartz as a focus. Thank you to every one who connected into last nights additional crystal meditation to send peace, strength and angelic connection to children across the globe. This came about after I had been sent details of, or read about many different groups of children in need over just a few days - horrific statistics concerning children in Afghanistan over the last year, child soldiers held long term in camps in Southern Nepal, children of Asylum seekers detained in the UK, child sacrifice in Uganda and the list goes on. It is so easy in our privileged lives to forget the needs of others and in particular the challenges and devastation that face so many children across the planet at this time in many different challenging situations. In the light of this a crystal meditation with children as the focus will now become a monthly feature of the Crystal Earthworks meditation programme and will be held on the second Monday of each month through 8pm GMT with details posted to the blog beforehand. Following the completion of the planting of the coastal waters of Britain and Ireland, we are delighted to announce today the launch of a new community crystal planting project for Global Coastal Waters. This project is based on the planting of specially programmed Pure Grace Hearts to coastal waters across the globe. The crystals are programmed to bring purity, strength and positive flow to the coastal waters to which they are placed and all life forms inhabiting those waters. The crystals will work to bring cleansing and balance to the planets water and all life streams with connection to it, helping to return all to purity, flow and heart connection whilst adding to a growing global network of light as we move towards a new planetary cycle of energy. If you would like to contribute to this healing opportunity wherever you are across the globe, either through planting a crystal or crystals, or through sponsorship please get in touch with the Crystal Earthworks. 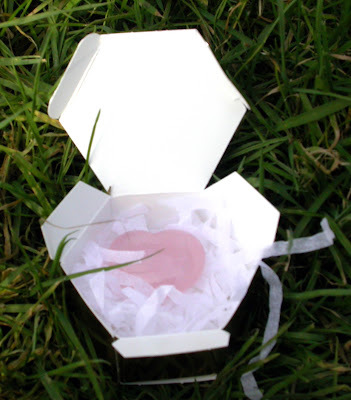 Several Pure Grace Hearts have already been placed to the coastal waters of Britian - at Gardenstown in Scotland in May as part of a Pure Earth set, to the waters in Fingal's cave, Staffa, Scotland on the 22nd of August 2009, as part of a Pure Source Set and in the estuary in Berwick Upon Tweed, England, on the 22nd October 2009 and their energy will be ignited through 3pm today to mark the beginning of this work. Eternal gratitude goes to Jennifer Anne Mole for her heart connection and continued contribution to the development of the Pure Grace Heart work and to all those who have taken part in the planting of the Coastal Hearts to Britain and Ireland enabling this next phase of crystal planting to begin. We are delighted to announce the completion of this project which has been running for several years now. 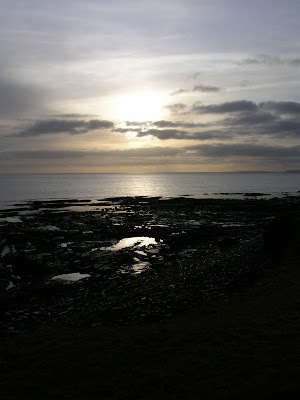 The final crystal was planted to the coastal waters of North West England just before 3pm on the 31st December 2009. A total of 99 rose hearts of light for planting have been placed over the last four years to the coastal waters of the above - 33 to Scotland, 33 to England and Wales and 33 to the land mass of Ireland and Northern Ireland. Each crystal was specially programmed to bring peace and healing to the surroundings to which it was planted and on completion of the planting the crystals ignited to work together to create an energy matrix of peace and healing across the whole of the coastal waters and land mass of the British Isles and Ireland. A huge thank you goes out to all those who have helped with this work. This meditation will use a Pure Strength set as shown above which combines a Pure grace selenite heart with four malachite.